Designing Worlds finds out about Firestorm – now on the web! Don’t miss the recent Designing Worlds show exploring the phenomenon of the most popular viewer for Second Life – Firestorm. How and why has Firestorm achieved its pre-eminence? What is the relationship between Firestorm and Linden Lab, makers of Second Life? We talk to Jessica Lyon, the overall Project Manager, Lette Ponnier, the English Support Lead. 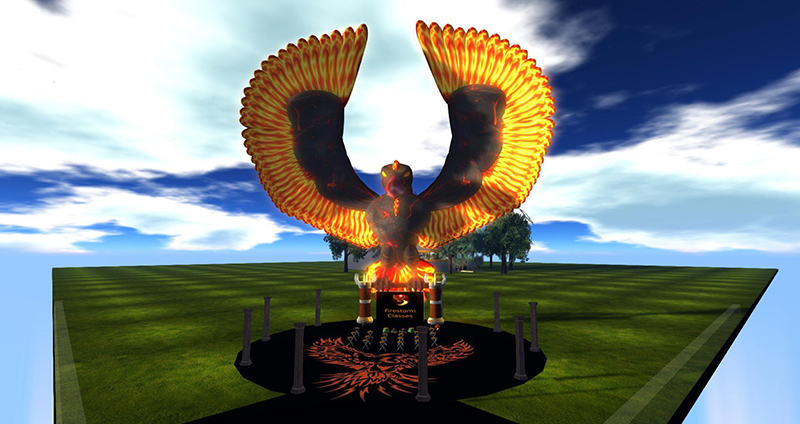 and Ed Merryman, Support Manager and teacher as we trace Firestorm from the early, rocky days of the Emerald browser through its rebirth as Phoenix to its present huge popularity as the most used viewer on the Second Life grid. And we look at how the team develop the features that make it so popular – and above all its famous training and support – including their own training path for newcomers to Second Life. Does this offer a model for Linden Lab as they move forward? People who want to learn more about Firestorm (or download the viewer for themselves) should visit the Firestorm website. Next Post: What makes a strong Second Life Community? Why do you folks continuously leave all these post’s with no direct link’s attached to directly view the contents of the recorded shows ? Because you can watch the show on the site – it’s directly embedded and you just need to click on it. Or do you not see that? If it’s failing, I will leave links.